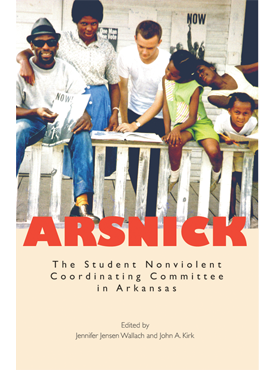 The Student Nonviolent Coordinating Committee (SNCC) arrived in Arkansas in October 1962 at the request of the Arkansas Council on Human Relations, the state affiliate of the Southern Regional Council. SNCC efforts began with Bill Hansen, a young white Ohioan—already a veteran of the civil rights movement—who traveled to Little Rock in the early sixties to help stimulate student sit-in movements promoting desegregation. Thanks in large part to SNCC’s bold initiatives, most of Little Rock’s public and private facilities were desegregated by 1963, and in the years that followed many more SNCC volunteers rushed to the state to set up projects across the Arkansas Delta to help empower local people to take a stand against racial discrimination. In the five short years before it disbanded, SNCC’s Arkansas Project played a pivotal part in transforming the state, yet this fascinating branch of the national organization has barely garnered a footnote in the history of the civil rights movement. 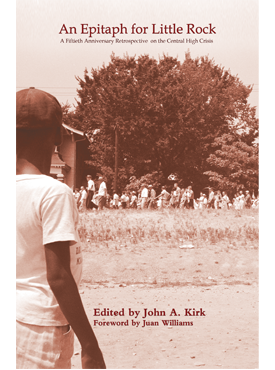 This collection serves as a corrective by bringing articles on SNCC’s activities in Arkansas together for the first time, by providing powerful firsthand testimonies, and by collecting key historical documents from SNCC’s role in the region’s emergence from the slough of southern injustice. 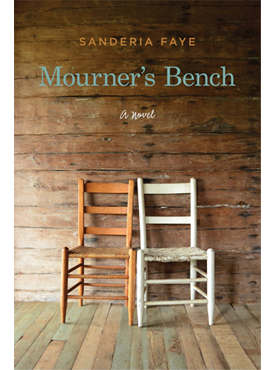 Jennifer Jensen Wallach is assistant professor of history at the University of North Texas and the author of Closer to the Truth Than Any Fact: Memoir, Memory, and Jim Crow and Richard Wright: From Black Boy to World Citizen. 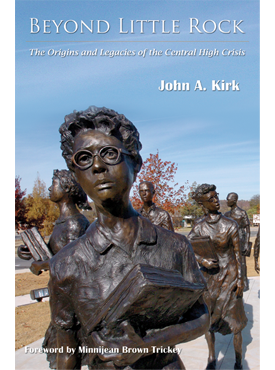 John A. Kirk is chair and Donaghey Professor of History at the University of Arkansas at Little Rock and the author or editor of five books, including An Epitaph for Little Rock: A Fiftieth Anniversary Retrospective on the Central High Crisis and Beyond Little Rock: The Origins and Legacies of the Central High Crisis.